The crux of any organization is the data that they possess. An interminable and uninterrupted access to this data is essential as data is unequivocally the most mission-critical element. Even in adverse vistas where data gets lost, appropriate back up is imperative for the smooth functioning of the organization. With data growing exponentially by the second and with technology becoming faster, the network that harbours both these has gained much attention. SAN- Storage Area Network is now a crucial aspect of the Storage Network market. A report by the Global Industry Analysts, Inc- ‘Storage Networking: A Global Strategic Business Report’- states that the storage networking market is projected to reach $24.3 billion by 2018. The report attributes that this surge would primarily be driven by digital data explosion and the resulting need for efficient data storage infrastructure among enterprises. Furthermore, the adoption of server virtualization and robust demand from developing markets, APAC in particular, also augurs well for the future of this market. Indisputably, Fibre Channel stands to be the clear choice for a mission-critical, high-performance, low-latency, highly reliable SAN fabric in the storage networking realm. Succinctly said, Fibre Channel is a viable and vibrant storage networking technology that has demonstrated its value over time, and is now the most widely deployed storage network infrastructure for virtualization, cloud, and mission-critical applications. From its introduction as a point-to-point network designed specifically for storage traffic, Fibre Channel has evolved into a modern, fabric-based architecture and owing to its exceptional performance, resilience, and security, Fibre Channel is now the preferred SAN fabric across the globe. Since its inception in 1995, Brocade had been venturing deep within the SAN and is said to be the pioneer of Fibre Channel with a 70 percent Global market share, thus becoming the leading provider of Fibre Channel. Case studies prove that almost 98 percent of the Indian Telecom industries and 90 percent of the Indian Banks runs on Brocade’s SAN. 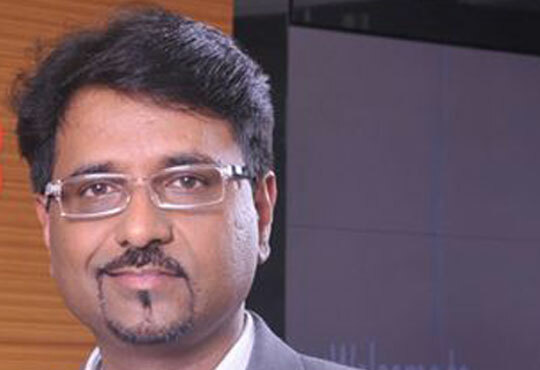 Co-founded by Kumar Malavalli, who co-authored the Fibre Channel, Brocade introduced ‘Gen 5 Fibre Channel’ in 2013. ‘Gen 5 Fibre Channel’ indicates the fifth generation of speed improvement between the original 1Gbps and the current 16Gbps standards. The Gen 5 Fibre channel switch platforms unleash the full potential of high-density Server Virtualization, Cloud Architecture and Flash Storage. Brocade intends to launch their ‘Gen 6 Fibre Channel’ sometime around early 2016. The platform will be 32Gbps/128Gbps. Brocade Fabric Vision Technology combines the capabilities of the Gen 5 Fibre Channel ASIC, Brocade Fabric OS and Brocade Network Advisor to maximize uptime, simplify SAN management and to provide unprecedented visibility and insight across the Storage Network. Similarly, the Brocade Fabric Vision technology, by virtue of innovative diagnostics, proactive monitoring and management capabilities, helps administrators to considerably cut down errors leading to maximizing application performance while reducing operational costs. With the ability to analyze an unprecedented 20,000 data flow and millions of IOPS on a single system, the Brocade Analytics Monitoring Platform calculates and analyzes vast amounts of metrics from across the network, including network-connected devices, to uncover the often-subtle causes of infrastructure issues that diminish performance and availability. Furthermore, the Platform tracks, Performance history and trends thereby enabling the IT staff to proactively monitor and resolve issues, often before they occur. Moreover, the Platform does not inflict unnecessary strain on compute, storage or network resources while maintaining high level security and analyzing all the network connected devices. Standing true to its Vision, Brocade intends to build innovative platforms which keeps in line with Brocade’s Gold Standard for availability. Brocade is now looking at a software approach to ensure that the application services are made available round-the –clock.